Our modern, elegant Lilies To Give postcard design template will inspire donors to give to your cause when you use our online design tool to print custom postcards for your organization. Available in four different color schemes to accentuate your brand, Lilies to Give is sure to catch the attention of potential donors! 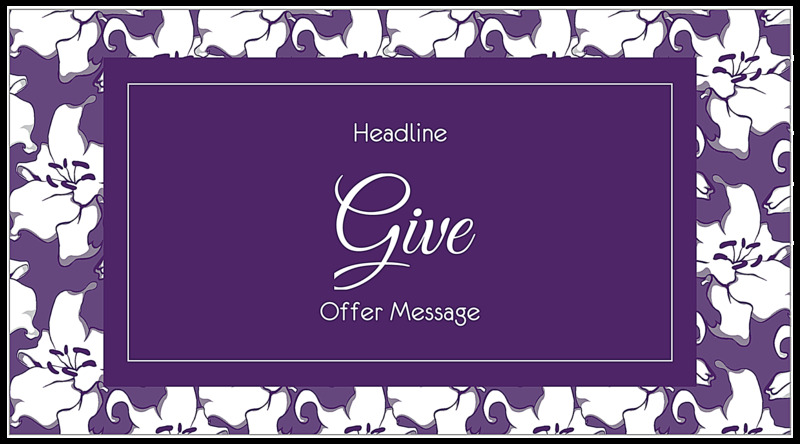 The front features a solid-colored field with plenty of room for your headline and message surrounded by a border of the same color with white lilies. The back has a traditional two-sided postcard design. 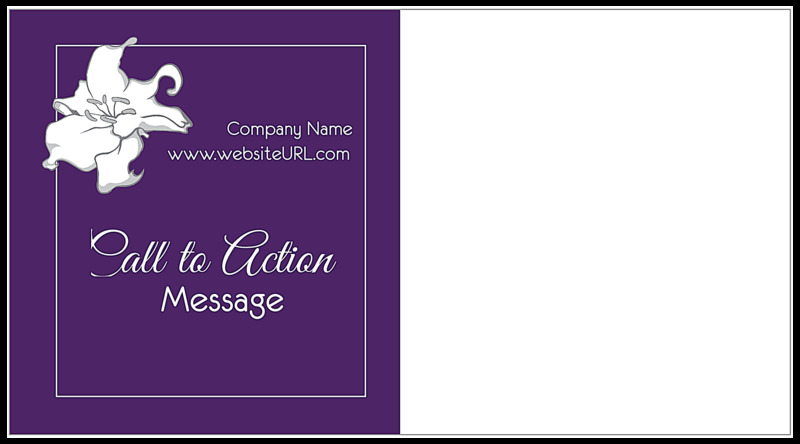 The left side features an image of a lily, repeating the design and color scheme from the front, with space for your organization’s name, website URL, message, and call to action. The right side is a white field for addressing. Personalize your postcard design today with PsPrint’s online postcard maker! Our online design tool helps you create professional-quality postcards fast and easy! All you need to do is select your template and color scheme from our design library, then let our intuitive interface guide you through adding your customized text. When you’ve finished creating, you can even download a shareable PDF and get feedback from your friends and team members before printing your postcards. Premium paper stock and vibrant soy-based inks ensure that your completed postcards are the high-quality product that you expect from PsPrint—guaranteed! You can also count on fast printing turnaround and reliability when you choose us as your online printing partner. For an extra luxurious look and feel, consider printing triple-thick ultra postcards with an attention-grabbing edge band of color. Remember, eligible organizations can save time and money with nonprofit mailing postcards. And, PsPrint offers a full line of other business essentials to meet your organization’s needs!